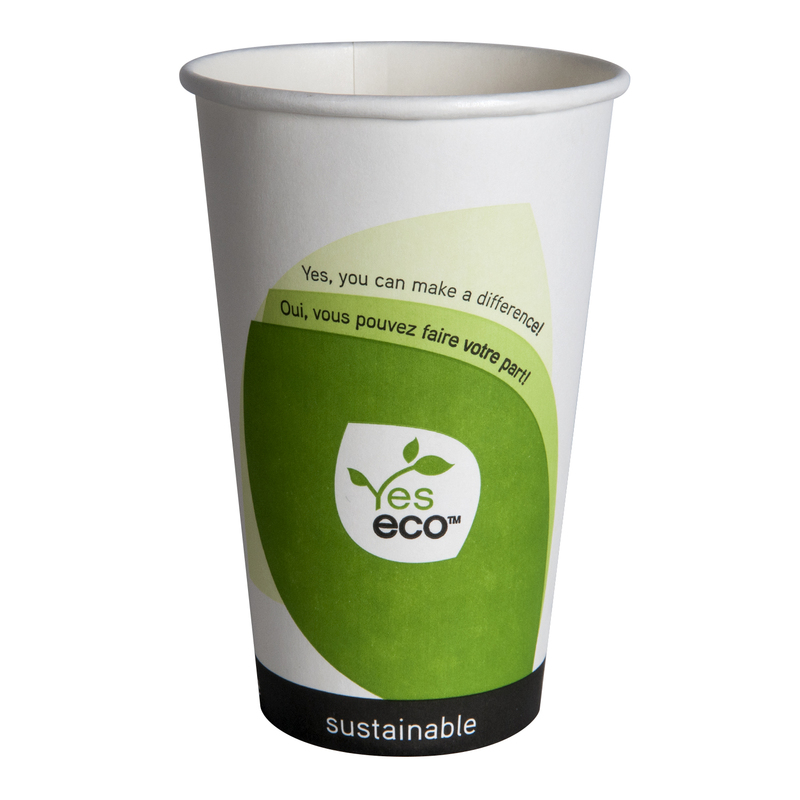 YesEco Hot Cups are officially BPI certified and made entirely from renewable resources that can be grown again and again. 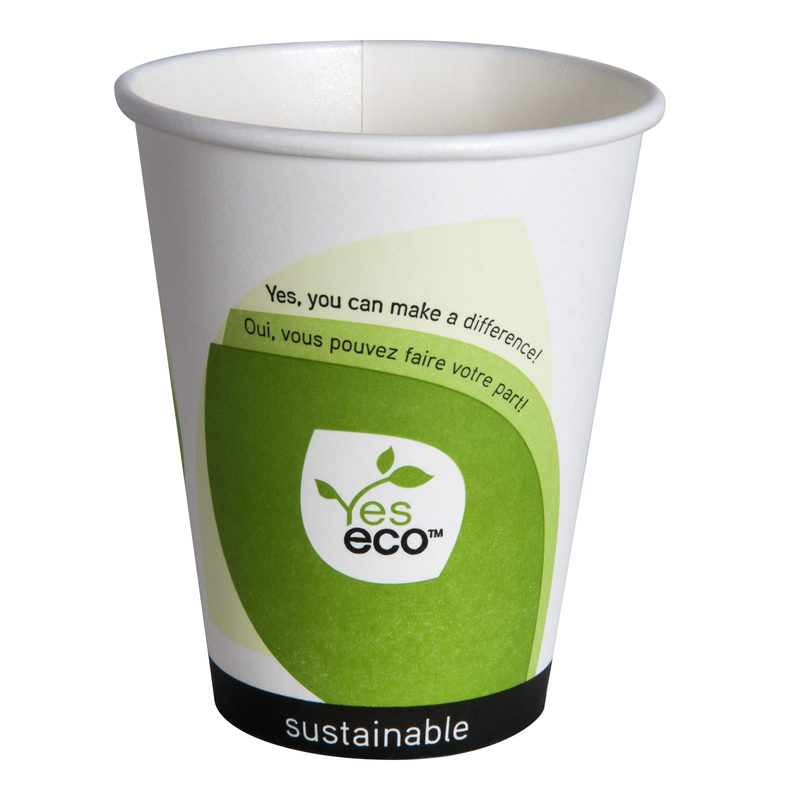 The cups are lined with PLA, a plant-based bio-plastic. 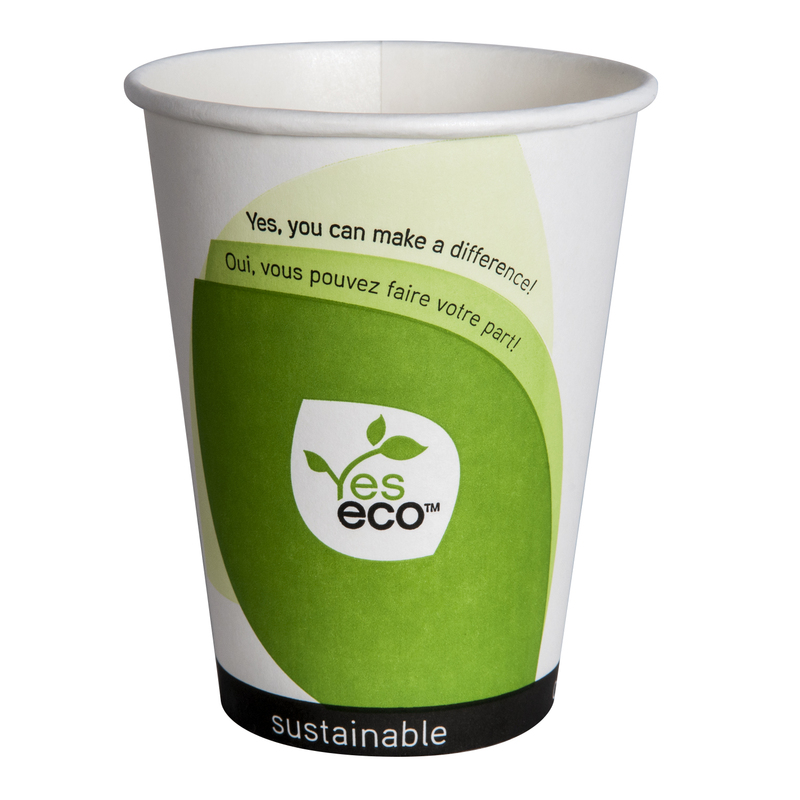 Compostable, biodegradable, good looking with HD print. 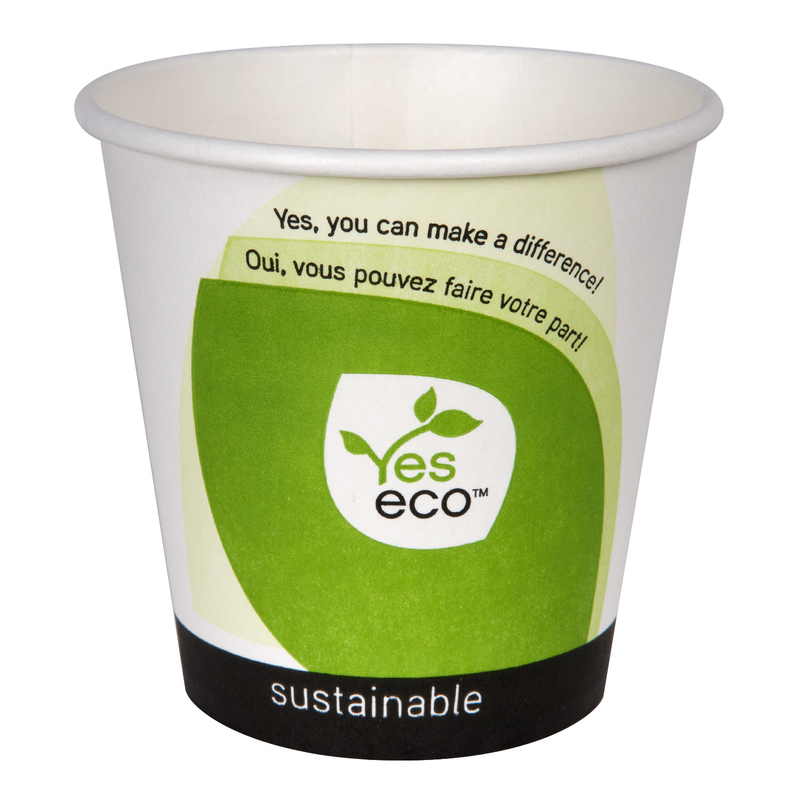 Our YesEco cups can be paired with either a dome sip lid, available in white or black, or a flat lid available in white or black. They lids are universal, as well – you can fit 10oz – 16oz cup sizes, all with just one lid.